Three decades ago, two exclusive Mercedes-Benz models celebrated their premiere: The 190 E 2.5-16 (201 series) prepared the way for the then compact class to become a star performer, while the 560 SE (126 series) combined the top performance of the flagship S-Class model with the more dynamic handling of the shorter wheelbase. Next year the first examples of these two models will be 30 years old. Which makes them eligible for the coveted "H" registration plate. This is itself celebrating its 20th birthday in 2017: it was first issued in the Federal Republic of Germany in 1997. All in all, fewer than 7000 examples of these rare Mercedes-Benz models were produced after they celebrated their premiere at the Paris Motor Show in September 1988: No more than 5743 units of the Mercedes-Benz 190 E 2.5-16 high-performance saloon were produced between 1988 and 1993. 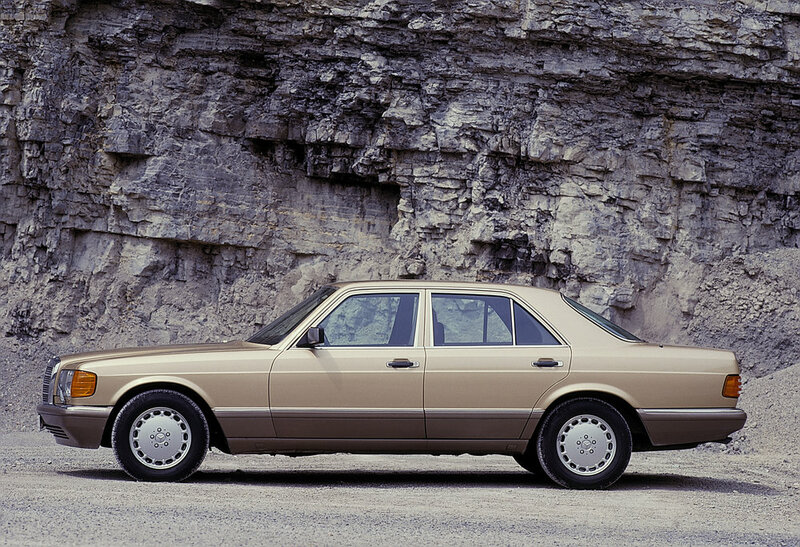 And between 1988 and 1991, just 1252 units of the Mercedes-Benz 560 SE were produced. That makes this short-wheelbase version of the S-Class a much rarer classic than its sister model, the 560 SEL (75,071 units).